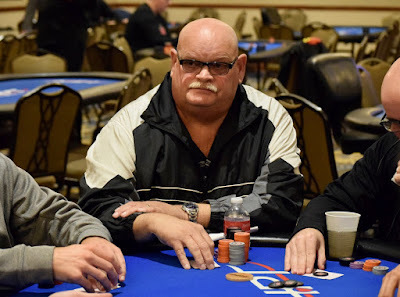 Greg @fossilman Raymer provides an update on how his Day 1B @HPTpoker @AmeristarEC main event is going. Here's his updates in 280 or fewer characters. You too can report from your table, just post to Twitter and include @HPTupdates in your Tweet. The volume has decreased substantially in the tournament room ... I don't know if that means there's a delayed Food Coma or whether #TheGrindIsReal is here. What I do know is David McGowan's 250,000 stack is the biggest in the room now. McGowan was 14th here last May and 26th in January 2017. 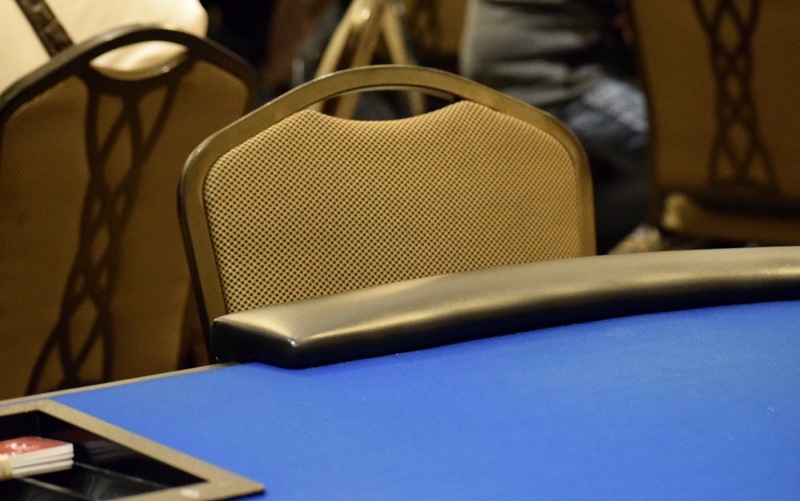 Aaron Johnson, Darryl Ronconi and Kenny Nguyen are among the group of players eliminated in the first 40 minutes after returning from dinner break. 17 of the 90 dinner-break returnees have found the rail so far, a slower pace than the rush of bustouts last night ... maybe dinner was better tonight? Try the $10 pork tacos palte at Stadium, just sayin'. I showed up on the flop, 9-K-K already out on the felt, and the bets from @JSmith84Poker and his challenger already pulled in by the dealer. 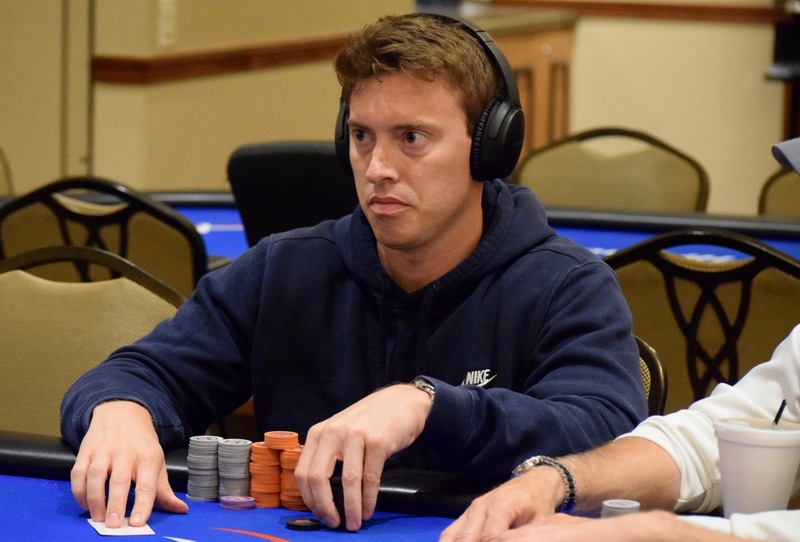 The challenger - palming a 5k and a 1k chip in one closed-hand, makes an exaggerated check-pound on the table when an Ace comes on the turn and Smith (pictured) checks as well. Before the dealer peels the river card, the challenger has that closed-hand back out again, hovering over the felt. As soon as the Queen hits, he drops the 6,000 bet. Smith asks to see how many chips this person has behind, then announces all-in, and he gets a snap-call. Smith turns over one black King and one red King to reveal he flopped quads. 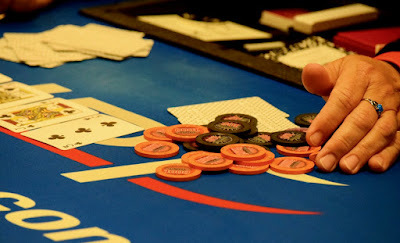 The challenger mucks face down, with the dealer revealing Ace_Jack as Smith receives the chips. Registration has closed on the second of three starting flights in the @HPTpoker $1650 Main Event at @AmeristarEC and the board shows 185 entries, a Day 1B record for this Labor Day Weekend event. Combine this with the 131 from Day 1A (also a record turnout for that flight) and the field is at (yep, another record) 316 entries through two flights. Saturday flights the last two Labor Day Weekends drew 248 (2016) and 257 (2017), making an $800,000-plus prize pool definitely within reach. Play continues until the end of Level 15 at about 145am. Saturday's Day 1C begins at noon. The Punisher is the first player to crack the 200k mark. Darrell Haywood leads the way as Day 1B @HPTpoker @AmeristarEC players are on their hour-long dinner break. Here's some very rough-estimate chipcounts for more than a handful of the notables in today's field. Play continues until 145am - the end of Level 15, just as last night's Day 1A did - when the Bag-N-Tag takes place. Remember, people, tomorrow's Day 1C - the final starting flight - begins at Noon, two hours earlier than days 1A/B. Darrell Haywood often plays while wearing a hat and other gear dedicated to the Netflix series The Punisher. His playing style mimics the name, lacking a brake pedal and punishing those in pots with him ... or sliding large stacks of his own over to opponents. 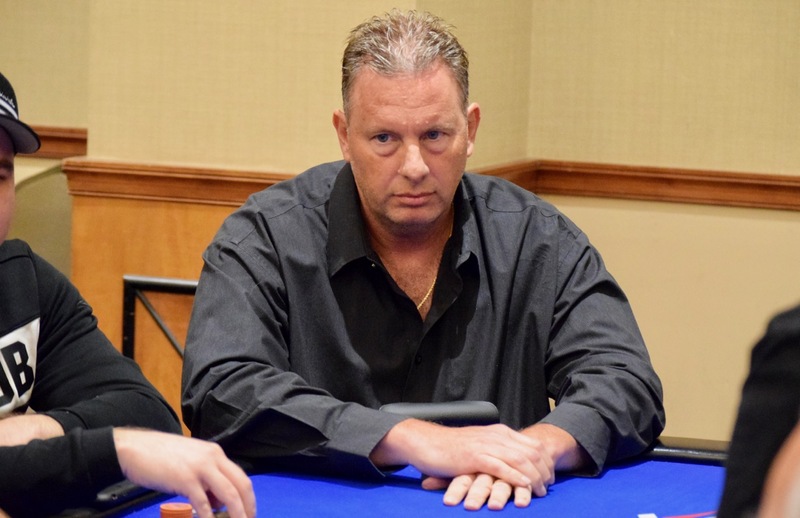 Well, today is Punisher 2.0, as Haywood - runner-up in the 2017 Labor Day Weekend HPT East Chicago Main Event, falling to Gary Herstein - is building stacks. He's up to 165,000 midway through Level 9, the tallest stack in the room right now. Down to little more than towers of 100 chips, Ajay Gnanasambanthan moves all in from middle position, with Jeff @FielderDream tossing in a 7,200 calling stack. The rest of the table steps aside and it is time for the cards to go face up. Fielder is ahead with against the of Gnanasambanthan, and extends his lead by flopping a flush draw. 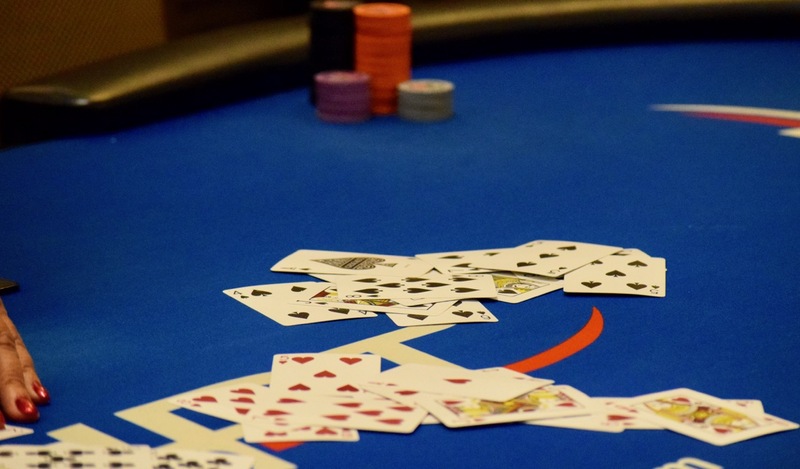 The end comes with on the turn, flush for Fielder, who moves to 120,000 and one of the room's top stacks at 4x. Harold Evans moves to 120,000 as Level 8 begins, joining an elite group - including Kenny Baime, , Jeff Fielder, George Deitz and the 2017 Labor Day Weekend main event runner-up Darrell Haywood - who have moved to 100,000 or more betting units in Day 1B. 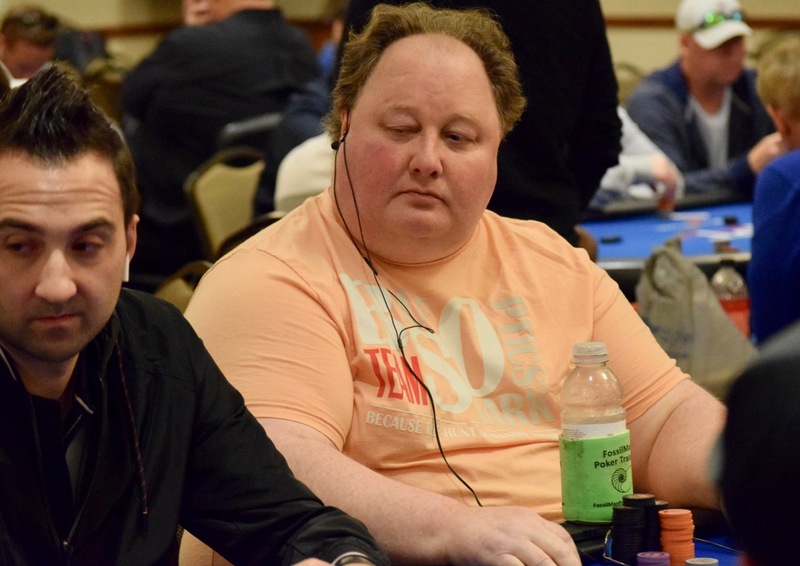 On the opposite end, Ryan Olisar returns from the registration cage to get a new 30k starting stack from RozTheTD as he looks for better RunGood than his initial entry today. Nick Pupillo and Garrett Riley are among the recent eliminations right after returning from break. Both players - and everyone else looking to take a shot at Day 1B - have until the end of the dinner respite at about 930pm - when RozTheTD puts cards in the air for the start of Level 10. .... and just like that, Pupillo is back. See folks, that's how it is done. The field is now officially at more than 300 entries - the largest combined Day 1A/B Labor Day Weekend HPT field in the last three years (maybe more, but I only have access to 2016/17 numbers). 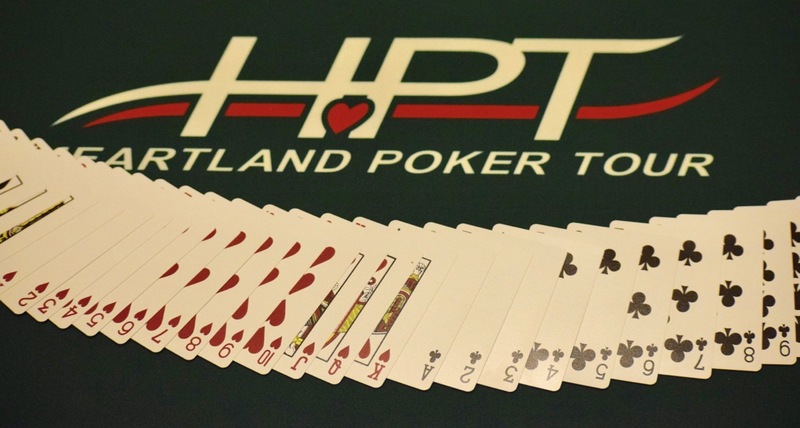 @HPTpoker returns to @AmeristarEC Nov. 1-13 for the 2018 Season Championship series, including the $2,500 buy-in championship event Nov. 9-13. The schedule for the championship features a full weekend of Day 1's Friday, Saturday and Sunday, with Day 2 on Monday and the final table on Tuesday, Nov. 13. 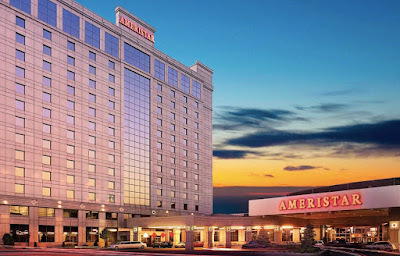 Ameristar St Charles hosted the 2017 event, with Thunder Valley Casino the 2016 host. This year's @HPTpoker @AmeristarKC champ Jeff @FielderDream has joined Kenny Baime atop the leaderboard midway through Level 6 in Day 1B of the $1650 HPT East Chicago Main Event. Here's a look around the room at some of the chipstacks for players looking to find that elusive Day2Bag. Geith paused, and made the call. The river was , Geith adds 3,400 more and gets paid off as he turns over for trips and the win, moving to 46,000 as Level 6 fires up. 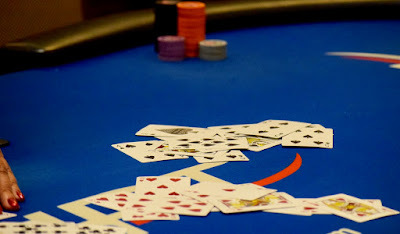 There's a 15-minute break at the end of this level, a 60-minute dinner break after Level 9, with registration closing when Level 10 begins at about 930pm. 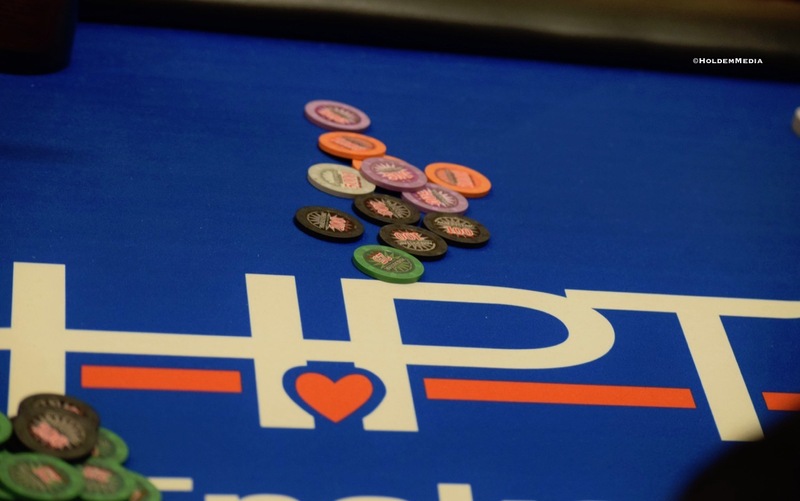 Add in the likes of Jeff Fielder, Ravi Raghavan and Jason Ramos to the field and Day 1B @HPTpoker @AmeristarEC has reached 143 entries - exactly the same number for Day1B from the 2017 HPT East Chicago main event. Registration is open until 930pm - 4.5 more hours, so how high will this number go? Ryan Julius is looking to move a few steps up the pay ladder from last week at the @HPTpoker main event at @AmeristarSC where he finished 7th for $16,655. 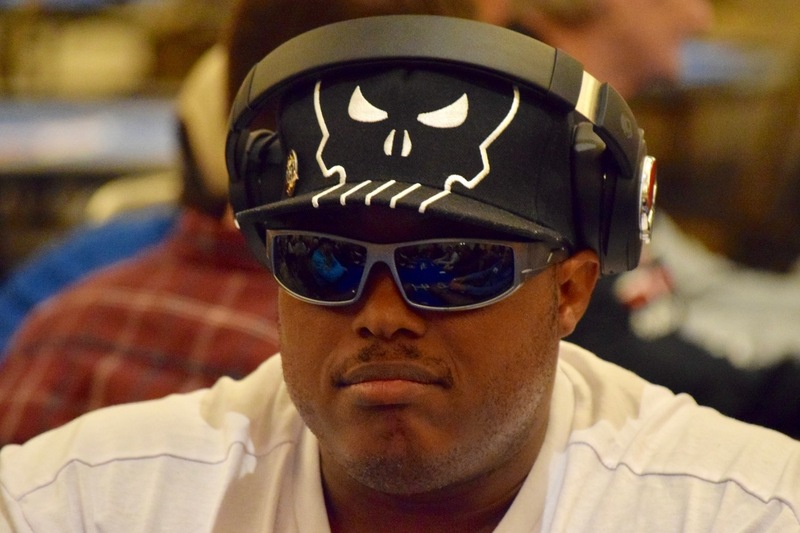 Well, he just ran in to the wrong end of an all-in against former @MSPTpoker champ Kenny Baime and Julius is now looking for that second-buyin magic to get himself to Day 2 and beyond. Baime is one of the top stacks now at 85,000. Here's an early look at a variety of very unofficial chipcounts from around the upstairs tournament area at @AmeristarEC in Day 1B of the @HPTpoker $1650 Main Event. Scott Sisler just went Boat Don't Lie to take the chiplead as players head off for their first scheduled 15-minute break of the day. Registration is available until the start of Level 10 at about 930pm, with end-of-day arriving at the conclusion of Level 15 at 145am. Day 1B - the largest starting flight - begins two hours earlier tomorrow with cards in the air at noon and registration closing at 730pm. There's already 18,000 in the pot and the board has run out by the time I arrive at one of the back tables. 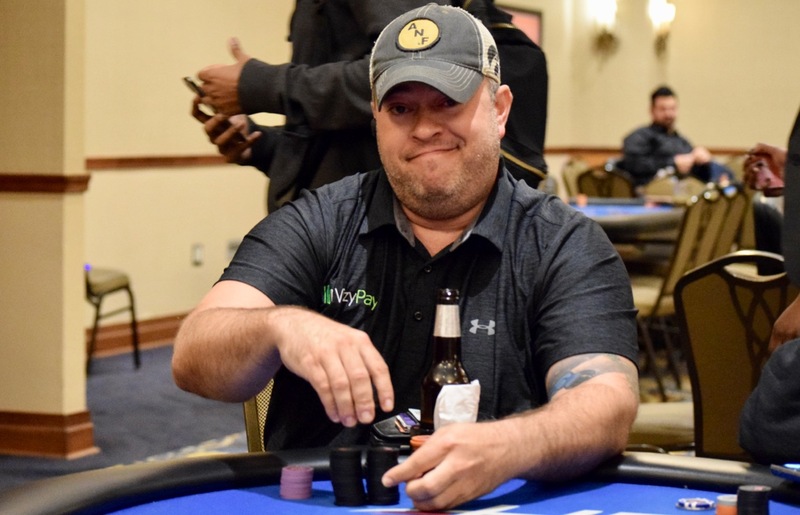 Scott Sisler only has his two Marvin The Martian card protectors behind him, with a 45,000 stack out in front for an all-in bet. The board is and Sisler's challenger is deciding whether to call off his remaining 23,000 betting units. Close to two minutes go by .. and there's comes a call. 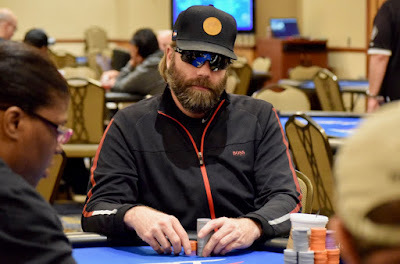 "I have a boat," says Sisler, turning over , and his opponent mucks, walking away from his chips. "You had Ace_Nine there?" 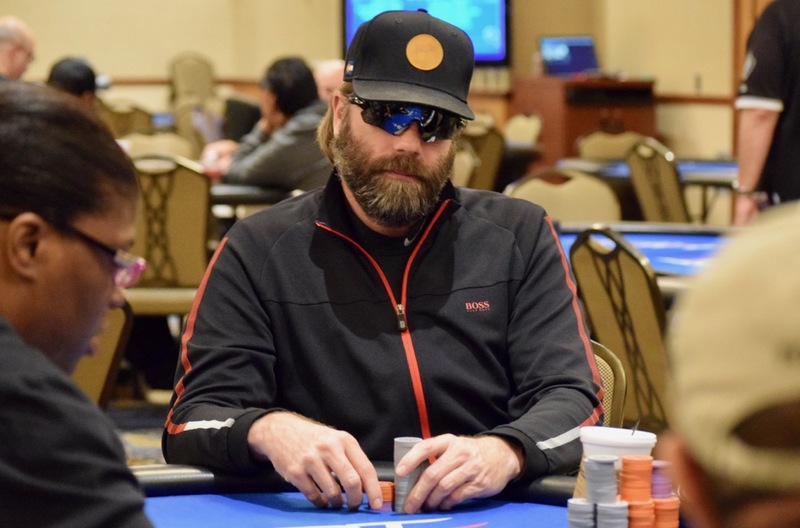 asks Sisler as he rakes in a chipleader stack of 85,000 late in Level 3. Well, that wasn't supposed to happen. Former @HPTpoker season champion David Gutfreund has already found a railbird seat ... and Day 1B $1650 @AmeristarEC Main Event hasn't reached its first 15-minute break of the day. We'll let David explain in 280 or fewer characters. My time 2day @HPTPoker Main @AmeristarEC was short and not sweet. Totally butchered/overplayed a hand to get short and then had AA cracked. Having gotten in on a $375 satty only makes me feel worse knowing how hard I grinded to earn seat. HOW BIG CAN SATURDAY GET? 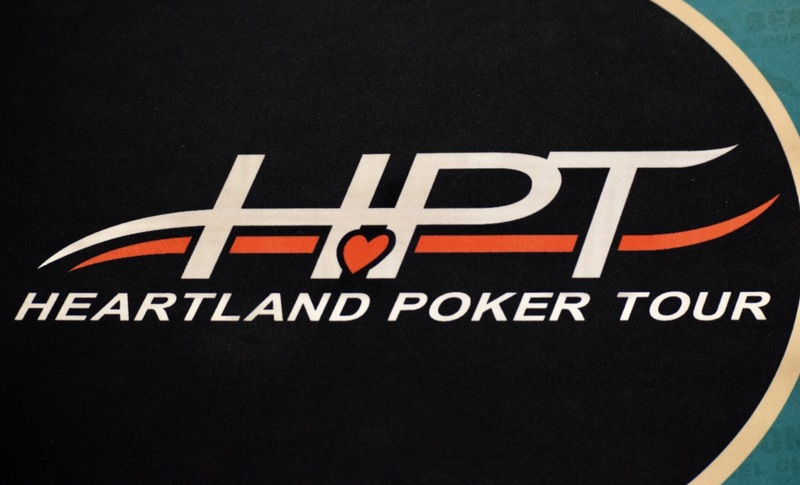 This is looking to be a very big Labor Day Weekend for the pokers at @HPTpoker $1650 @AmeristarEC. 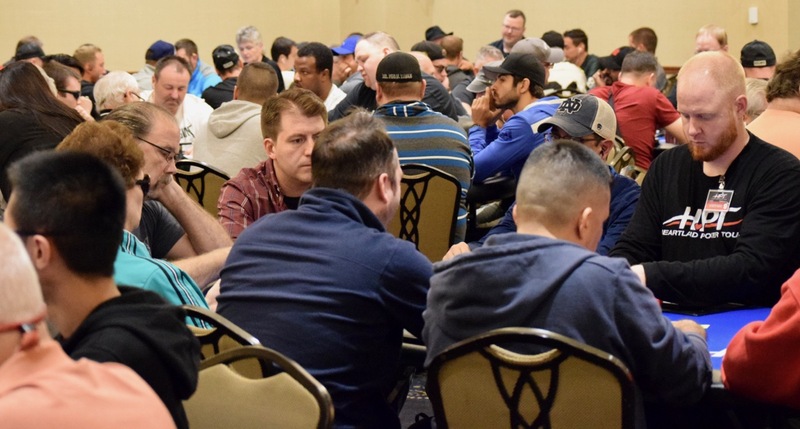 Thursday's Day 1A flight was much larger than either of the previous two years for this event, racking up 131 total entries compared to 117 last year and 97 in 2016. 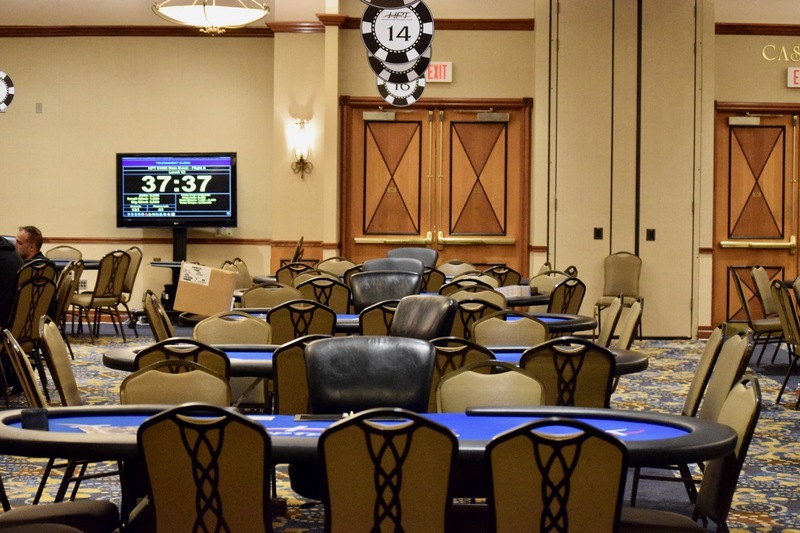 Today's Day 1B is already at 120 entries midway through Level 2, with registration open for 6.5 more hours. The 2017 1B drew 143 entries and 2016 had 161. Today's flight seems ready to challenge or surpass the 2016 number and could close with the first two flights having 300 or more total entries. Saturday - the final starting flight - is always the BiggDogg in terms of entries. 2017 had 257 entries, 2016 had 248. Keep the numbers rolling as they are so far this weekend and the overall Main Event number can be very close to an $800,000 prize pool. Calling my shot here and saying the O/U is that ~$800k mark of 556 total entries. 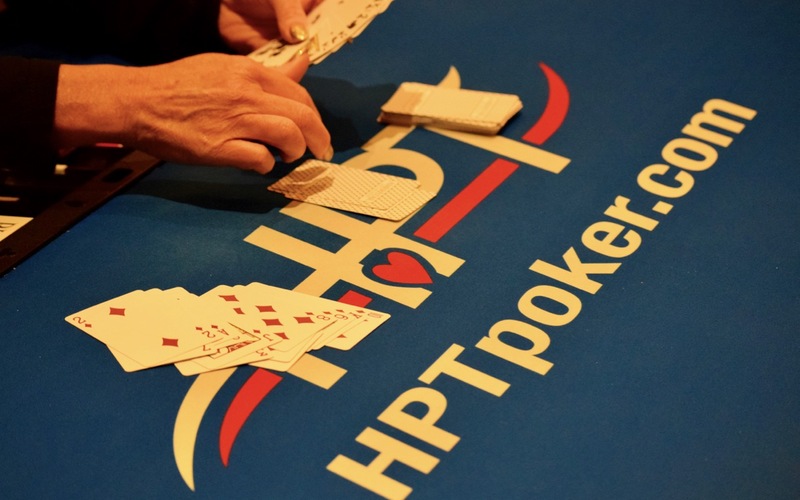 Midway through Level 1 in Day 1B and the @HPTpoker @AmeristarEC field is about to hit 100 entries. Greg Raymer, Craig Casino, Aaron Massey, Nick Pupillo, Gary Herstein, Nick Davidson, David Gutfreund, Mark Geith, Shawn McCracken, Bryan Skreens, Ajay Gnanasambanthan, Ross Guthrie, Mike Kamenjarin, Steve Fox, Jacob Baumgartner, Todd Ivens, Aaron Johnson, Ryan Julius, Jerod Smith (pictured) and Ed Sebesta (Welcome back, Ed). 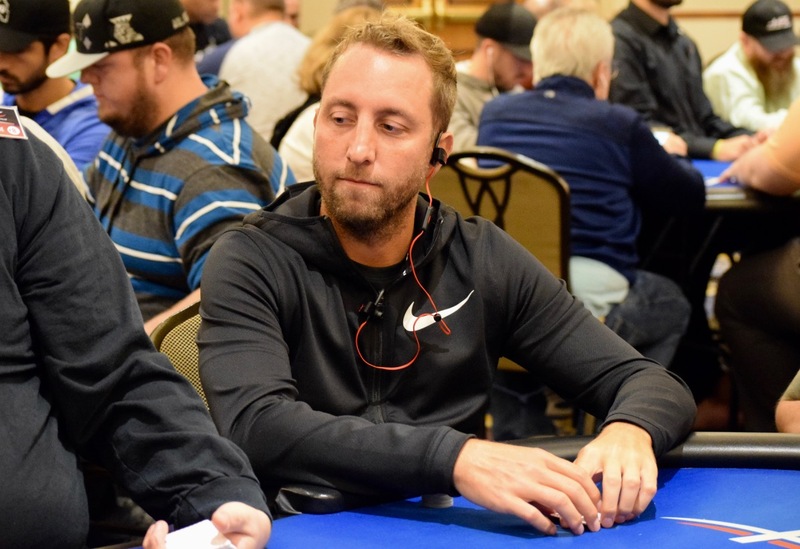 @HPTJeremy just put cards in the air for the second of three starting flights in the $1650 @HPTpoker Main Event @AmeristarEC. 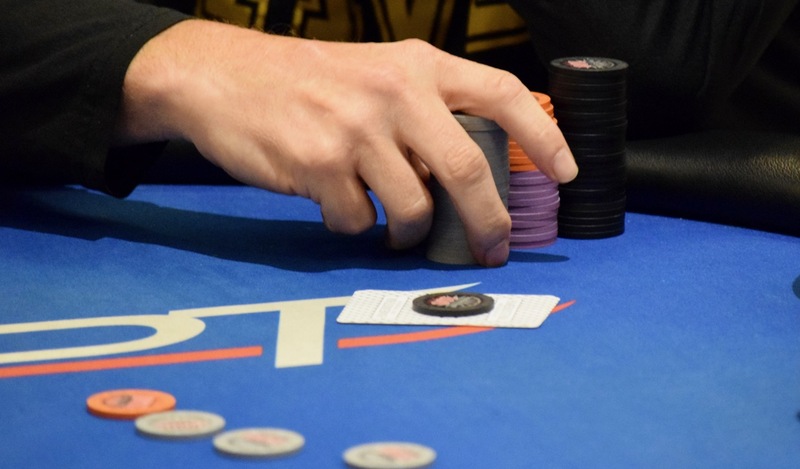 30,000 starting stacks for each participant in this BB Ante format tournament, playing a full 15 40-minute levels, just like last night's Day 1A. Today's play concludes at about 145am with the tradition of the Bag-n-Tag. 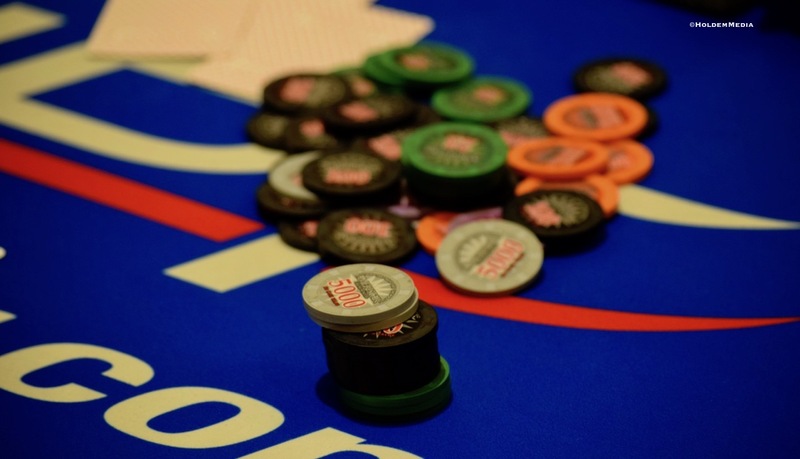 There's a 60-minute dinner break beginning at ~830pm, with registration and the HarveyRules (Best Stack Forward + Unlimited Re-entry) period available until the start of Level 10 at about 930pm. Should be a good-sized field today. Yesterday began with 43 players and registration closed with 131 - 14 more than Day 1A for the 2017 Labor Day Weekend main event. Today already has 65 with cards in the air. Mike Shanahan had a very rocky early few levels, but once his stack his triple-digits, it stayed there the rest of Day 1A in the @HPTpoker $1650 Main Event at @AmeristarEC. His 330,000 is 2nd out of the 20 players advancing from a field of 131, just 2BB more than Jason Mangold's 323,000. Randall Pace came back from dinner with 180,000 and added another 200k in about an hour. 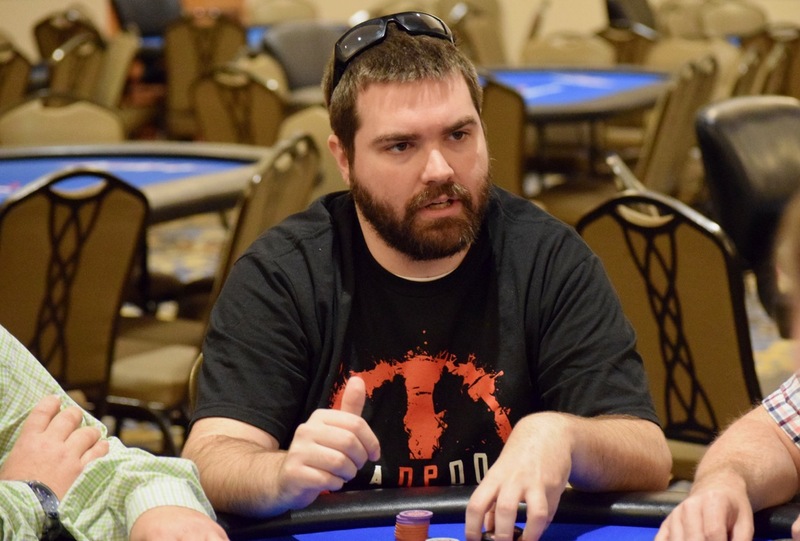 He wrapped up play with 310,000, and David Sesso stacked 304,000 - four players in the 300k club. 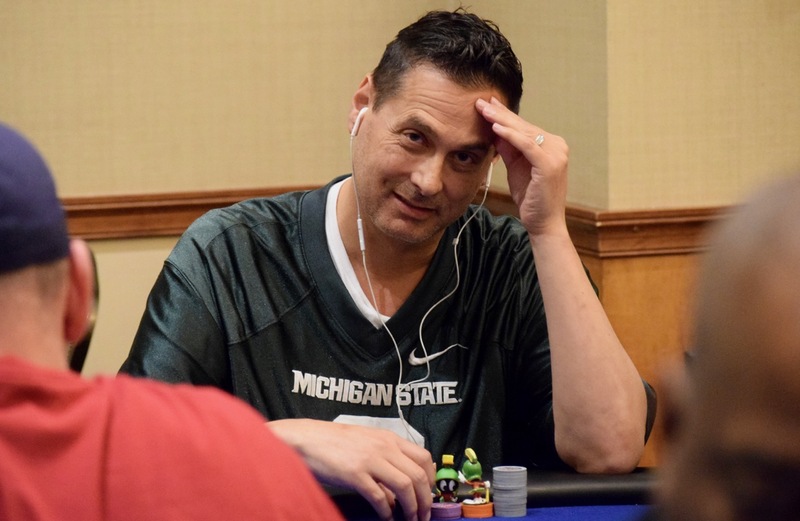 Your overall chipleader - Ossama Estafanous - stayed under-the-radar early on, but post-dinner was a different story as he put away player-after-player over the final 80 minutes, moving from 200k to a end-of-day 434,000 - slightly more than 100k clear of Shanahan. Others who bagged a stack in Day 1A includes Kevin Saul (291,000); TM Williams (238,000); Ralph Massey (219,000); Jake Bazeley (126,000) and Mike VanderWoude (95,000). 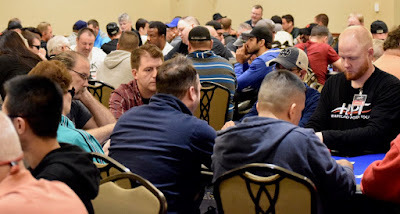 Among those who came out for Day 1A and did not find one of the elusive DAy2Bags was Nick Pupillo, Aaron Massey, Mike Kamenjarin, Craig Casino, Neil Patel, Mike Younan, Darrell Haywood, Aaron Johnson, Garret Riley, Jeff Fielder and Darryl Ronconi. Day 1B kicks off Friday at 2pm with the tournament's final flight - Day 1C - stating Saturday at noon. Here's the final player-provided chipcounts for the 20 players - from a starting field of 131 - advancing to Sunday's noon start for Day 2. 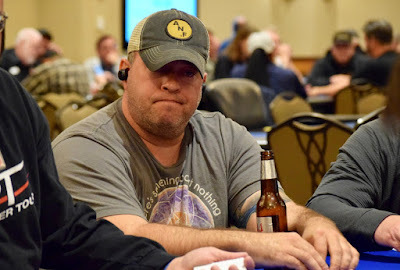 @RatesByJohn has stopped the Day 1A play clock at 10 minutes and announced there's 5 more hands remaining in this flight of the @HPTpoker $1650 Main Event @AmeristarEC. 20 players remain ... the HardStop is 18 ... so what happens if two players are eliminated during this segment and there's still hands to play? 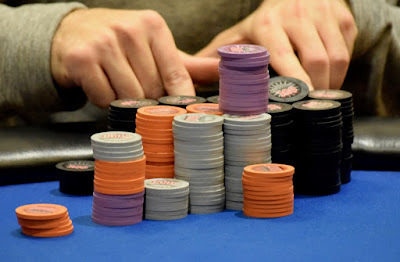 TM Williams opens to 9,500 and Neil Patel moves in for 80,000. Action folds back around to Williams, who flips out a single 5k chip, the dealer verifies he called and up go the cards. Pocket_Tens for Williams (pictured_, Ace_King for Patel. 8-9-8-3, "Six," says Williams, and the dealer obliges. Patel is out and the field is 30 minutes or 2 eliminations away from the end of Day 1A. 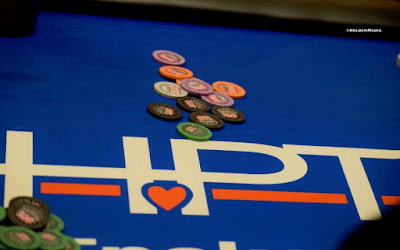 A rapid succession of eliminations and the Day 1A @HPTpoker @AmeristarEC field is down to 21 - that's three eliminations away from the HardStop with 50 minutes remaining in play ... well, 50 minutes IF there's fewer than three eliminations. After losing a player every 3.5 minutes from Levels 10-12, the @HPTpoker @AmeristarEC $1650 Main Event field took their final 15-minute break of the night. Should I start using .5's?